Galeria N.E. 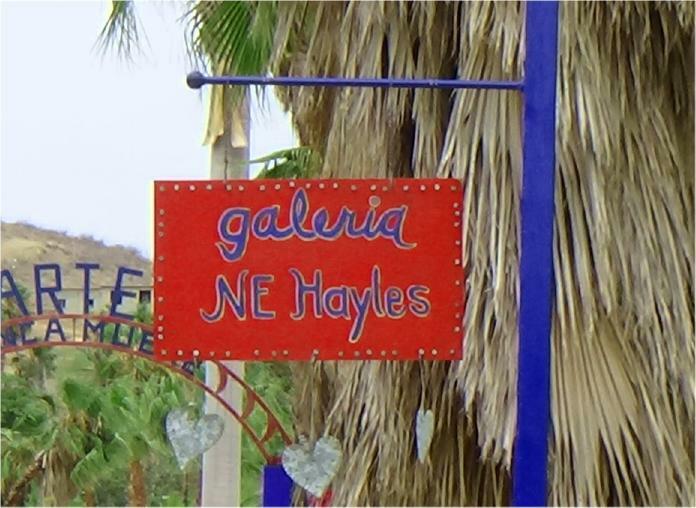 Hayles is located 2 streets past the Pemex gas station as you are leaving Todos Santos on the main highway towards Cabo. Turn right and drive past the stadium until the street ends. She is on the right hand side, with a sign hanging outside. Art classes (limited to 8), paper tile mosaics, portraits, angels, abstracts, and more.